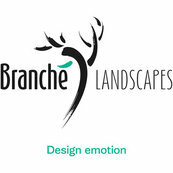 Branche Landscapes were a pleasure to work with. Arnaud totally delivered on our brief which was to create a tranquil and interesting balcony garden for our new apartment. He interpreted our wishes in a really clever and beautiful way and we are totally thrilled with our garden. It continues to surprise and excite us every day at it evolves, and it is increasingly clear that each plant was carefully chosen for the space. Arnaud has a deep understanding of the pleasure engendered by good garden design and he delights in sharing that with others.